In this post, we cover Codenames, detailing how to play it, the official rules, and strategies to help you win. 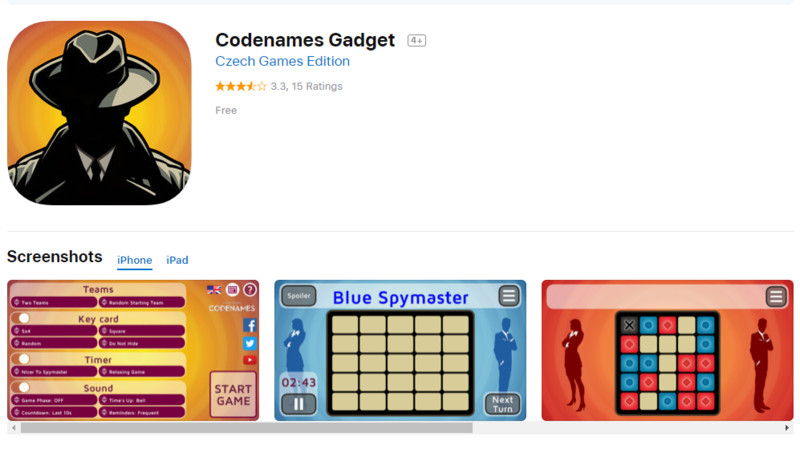 Published by Czech Games, Codenames is a board game with an espionage theme that involves guessing the code names (words) in a set, which are related to a hint-word that another player has given. Two teams, each having a Spymaster, compete in this game to find if they can figure out who their agents are, before the other. The Spymasters give one-word clues to their team, which can indicate multiple words on the board. The players of the team then try to guess their team’s words, while avoiding the assassin as well as the other team’s words. Vlaada Chvátil – a video and board game designer, created Codenames in 2015. It was during the first few hours of a game event when he came up with Codenames’ first sketch. That same evening, the very first game of Codenames was played. Vlaada has always been fond of this type of word association games. Since the first sketch of Codenames, the game hasn’t changed much. Players are divided into two teams – Red Team and Blue Team. Each team will select one player to act as their Spymaster. Both the Spymasters must be seated on the same side of the table, while the rest of the players position themselves on the opposite side. The agent cards are laid out in front of the corresponding Spymaster. The assassin and innocent bystander cards are placed between both the Spymasters. 25 of the word cards are randomly chosen by the players, which are then placed on the table in a 5 x 5 grid. The spymasters will select one of the key cards and put it into the card stand facing them. The team whose color is displayed on the sides of the key card begins the game. This team is given the double agent card, which is added to their stack of agents. Starting with the first team’s Spymaster, each team will take turns in their effort to make contact with their teammates by selecting the words corresponding to their agents. Each team will get a one-word clue from their Spymaster to accomplish the task. You can understand more about how to play the game by visiting the Czech Games website. Codenames can be played by 2-8 players; if you want it to be competitive, at least 4 players divided in 2 teams must play. An invalid clue given by the Spymaster would end that team’s turn immediately. This would also give the opposing team’s Spymaster the chance to cover up one of their agent words. The team that picks the card which is the identity of the assassin would automatically lose the game. If an innocent bystander card is chosen, the Spymaster would put one of the innocent bystander cards on the word. This would mark an end of the current team’s turn. If the chosen card turns out to be one of the opponent team’s agents, the Spymaster would put one of the opponent team’s agent cards on the word. This would mark an end of the current team’s turn. In case the chosen card is one of the current team’s agents, the Spymaster would place one of their own cards on the word. Then the current team will carry on with its turn. In case a player takes too long to think and arrive at a decision, the sand timer can be flipped by any player, who then asks the slow playing counterpart to decide before his/her time is up. You can visit the Czech Games website to download the rules (by country) in order to understand them better. Hi, I’m Jeff Gordon burg, and on this episode of the Dragons tomb, I’m gonna be teaching you how to play code names. Code names is a three player game about two all-male civilizations, who are being brainwashed by the government into thinking. They’Re women first decide who will be the blue male civilization, who will be the red male civilization and who will be the government? The object of the game for the government is to brainwash all males into females. The object of the game for the civilizations is to work together to build a superhuman strong enough to brainwash the government before beginning set up the pieces on the table like so these are brainwash cards. Each card contains hypnotic words. The government can try to use to brainwash the civilizations. Each hypnotic word also has an exact opposite word, hidden somewhere else. In the deck, for example, you can find opposites like life and death, cat and dog or millionaire and teacher spread out all the brainwash cards in the center of the table now you’re ready to start playing at the start of each turn. The government player takes brainwash cards and gives two to each civilization. Then he flips over the timer as soon as the timer is flipped. The civilizations must look at the cards that were given to them and try to find their opposites as quickly as possible. The two players must work together to search through the pile checking both sides of each card. If an opposite is found, the original hypnotic word is canceled out and removed from play when the timer runs out. It’S time to see how many hypnotic words are left, each civilization is scored individually. If a player has one hypnotic word left, one male in their civilization is then brainwashed into a female. If a player has two left, that means and hypnotic words worked with double effectiveness. In addition to two males being brainwashed into females, one of their other remaining men is turned ugly. If a player defeats both of their hypnotic words, their civilizations DNA gets stronger and they grab a DNA card. After this, a new turn starts and the whole process repeats. If, at any point, one of the civilizations is turned into all females, that player loses and is added a game if, at any point a civilization is made up of only women and ugly men. The ugly men turn into ugly women and then that players out of the game, if both civilizations, have turned into all women, the game is immediately over and the government wins. However, as the game is played, the civilizations will collect more and more DNA cards if they do well, both players cards are combined and they work together to decide how to spam. If one DNA card is traded in any one, female can turn back into a male. If six DNA cards are traded in, the civilizations create a superhuman with powers of both the red and blue societies. Once a superhuman has been created at the end of any turn, the civilizations may try their hand at brainwashing. The government for every set of two DNA cards that they trade in they serve one brainwash card to the government. For example, trading in six DNA cards means three brainwash cards will go to the government once this happens, the timer is flipped over and the government will have to play their own game finding the opposites if they defeat all the cards. The game continues like normal. However, if even one hypnotic word remains, the game is over and the civilizations have won. All in all this game is a blast to play. My only complaint would be that sometimes I feel like it comes off as being a little insensitive towards women. Turning into a female should never be looked at as a negative thing, and whoever came up with the concept for this game should really be ashamed with themselves. But if you’re able to turn a blind eye to this anti-feminine propaganda, the game itself is hella fun. In September 2016, Codenames: Pictures was made available where images were used on the cards instead of words. Despite having the same rules as the original, this version had a grid of 20 cards instead of 25. The same year, Codenames: Deep Undercover was unveiled where 200 new cards had double entendres and sexual references. It earned this version a parental advisory sticker. In 2017, Codenames: Duet was brought to the market as a two-player, cooperative version of the original game. Codenames: Duet featured 400 all new word cards. That same year came Codenames: Marvel Edition, which featured Marvel Universe characters including Dr. Strange, Spider-Man, and others. In 2017, Disney and Pixar films lovers got a treat in the form of Codenames: Disney Family Edition, which featured Disney and Pixar films’ locations and characters. 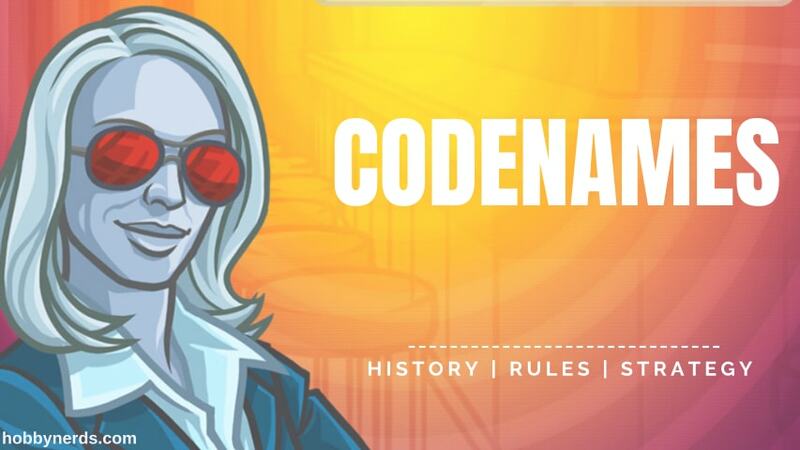 Codenames Gadget is an app that lets players enjoy an enhanced experience of the original board game. This app provides a random key card generator and comes equipped with an optional timer having voiceover alerts. What Makes It So Engaging? At the heart of Codenames is an extremely engaging mechanic. Apart from the game’s solitary main mechanic, there’s no need for any other mechanics. Add to this the fine blend of easy accessibility, plenty of options for players, a fun quotient and a decent bit of strategy, and you have a winner on your hands. Since Codenames is very easy to understand and play, people who haven’t played a board game ever can easily pick it up. While playing Codenames, Spymasters have to strategize if they would play aggressively, passively, or have a balanced blend of both the approaches to find their own agents before the other team does. While being too passive would let the other team cruise ahead of you, being too aggressive may bring your turn to an early end, give the opponent team some of its agents, or even make you lose the game. Perhaps these are the reasons behind the soaring popularity of Codenames that make people coming back to play this game time and again.